Keto Mint Chocolate Smoothie with a Secret Ingredient! Listen Billy Madison, we gotta talk. 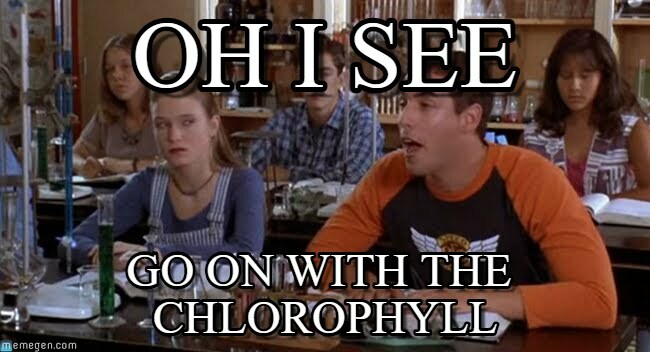 Chlorophyll is anyyything but boreophyll :P Anyone else love that movie as a kid? I've stayed true (yet again) to my fruit-free base of frozen zucchini and cauliflower, added some more healthy fats with Manitoba Harvest's hemp seeds*, Nutiva MCT oil, and all natural almond butter from Bulk Barn. I've also used half a scoop (~2 tablespoons) of vegan Purica protein powder and mint extract. Now, go on with your chlorophyll smoothie! *Full disclosure: I am part of the Manitoba Harvest Ambassador Program. While I am receiving free products I am not paid to post about them. I only support and post about products I love and actually use. **Percent daily values are based on a 2000 calorie diet. Your daily values may be higher or lower depending on your calorie needs. I've gathered this information on MyFitnessPal app.